Implementing a real-time warehouse management system is a critical task for distribution agencies. Its system can help streamline a process and organise a distribution operation. However, possible errors and inaccurate entry of data also happen in an inventory. Failure to solve these issues may create a negative impact on any process in the distribution. To prevent this, installing an inventory discrepancy solutions software in the industrial computer is needed. It is a process that solves discrepancies in the inventory and can be integrated into the warehouse management system. Now that these systems are installed in the operation, it also requires a reliable computing equipment like the S12 rugged industrial PC. This device is built with industrial-grade components, ensuring to provide reliability and efficiency. Technological advancements brought a lot of advantages in the distribution industry. It helps in making an operation easier and simpler. Advanced tools and equipment also increase the productivity of the distribution and mostly improve the entire operations. For an industry where accuracy and reliability are important, the right industrial computing device must also be installed. This includes the required industrial application for inventory and a compatible computing device. As a solution to this need, the S12 industrial panel PCs are proving its worth to many distribution agencies. It can have the key features needed for inventory discrepancy resolution process. And, at the same time, it can also perform its function for warehouse management system. Needless to say, logistics and distribution have a fast-paced working environment. It requires fast, reliable and durable equipment to ensure that every operation is accurate without a hitch. But, having the right industrial PC can help to resolve any inventory discrepancy in the process. Without further ado, let us give you a quick overview of how the S12 rugged industrial computers are utilised in Sainsbury Logistics and Distribution operations. Sainsbury is one of the major distributors in the United Kingdom. It is, in fact, the third largest supermarket chain in the UK with a market share of 16.5 percent. But, for Sainsbury, it is more than just a retailing business; it is all about providing quality products and great customer service. Then in 2000, they have found out that they are following an outdated system, warehouse IT infrastructure and supply chain strategy. Therefore, Sainsbury needs a system that can streamline their operations without sacrificing both quality and outstanding level of services. Sainsbury needs integrated and comprehensive solutions to fit its requirements for distribution operations. This includes warehousing and inventory software, wireless networking hardware, system integration and support. 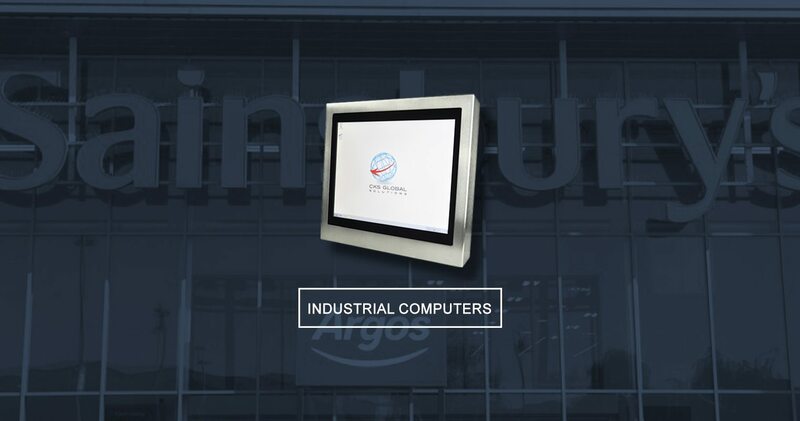 By using the S12 industrial panel PCs in the operation, processes are sorted and realigned. Since it is built with industrial-grade components, this device was able to withstand Sainsbury’s logistics and distribution operations. Moreover, this S12 industrial PC also comes with a compatible operating system. Complex applications like warehouse management system and inventory discrepancy resolutions processes can be installed and utilised. Also, this computing device enables a warehouse personnel an ease of use because of its intuitive interface and touchscreen capabilities. 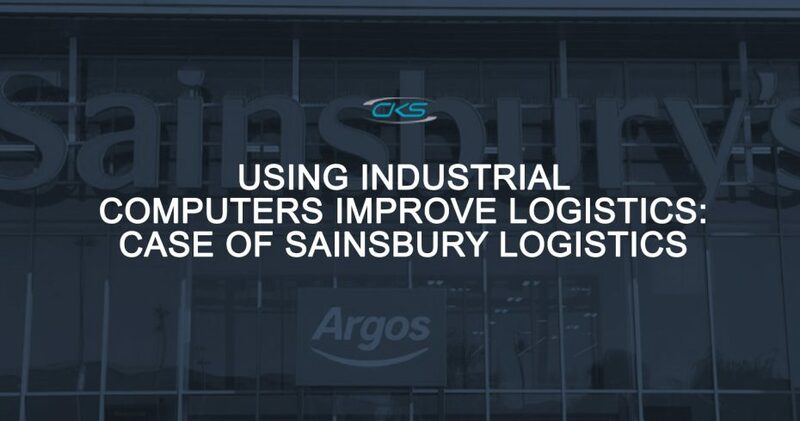 Moving from an outdated system to an automated inventory and warehousing system was a welcome change for Sainsbury. From receiving, put away, pick, kit and ship, this device has helped improved the inventory visibility. This, as well, reduce and resolve possible errors during the inventory processes. Lastly, this also helps Sainsbury to improve their efficiency and increase its productivity. Thus, they have met the consumers’ demands. It is clear that adopting modern technologies and innovative policies can help a distributor to become a market leader. If you move without these technologies, you cannot compete with the competitors. Sainsbury is one of the living proof that outdated systems can definitely affect the retailing business. So, build your S12 industrial panel PC today. Then, start implementing it and monitor real-time inventory. For more info about this rugged industrial computer, contact us through our website at (+44) 01438 747111.